The 2000-built Eurocopter EC120 B c/n 1169 was registered first with the Eurocopter France test registration F-WQ.. The Colibri was registered PH-ECD in the Netherlands with Heli Holland Holding BV, Emmer-Compascuum, on 29 November 2000. 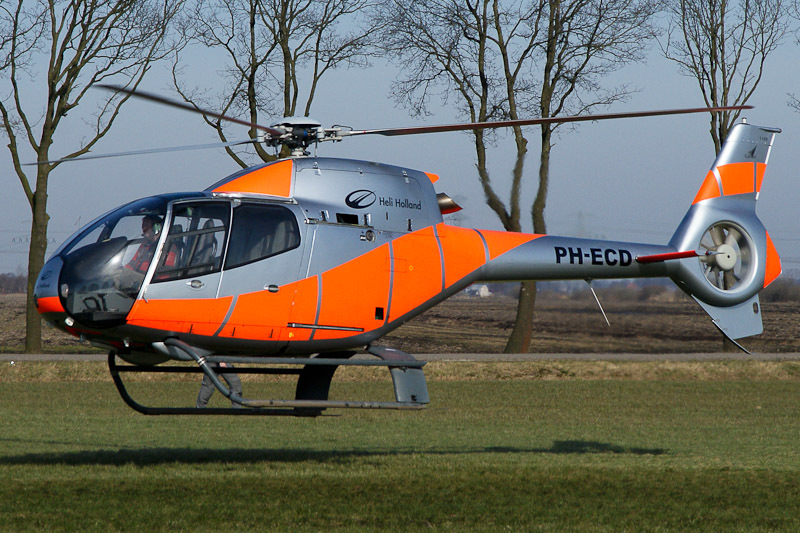 EC120B PH-ECD arrived on delivery at the Heli-Holland heliport near Emmen on 4 December 2000. Eurocopter PH-ECD is operated by Heli-Holland since. When seen at the Heli Holland heliport on 7 October 2012, EC120 B PH-ECD was in reflecting colors used for operations above the snow and ice plains of Greenland.